Mother Nature uploaded the video—which has racked up more than 628,000 views—to its Facebook page on Monday. It shows the Deryoung Sunflower, a bulk vessel bound for Taiwan, loading sand between Sihanoukville and Koh Rong island on April 29. 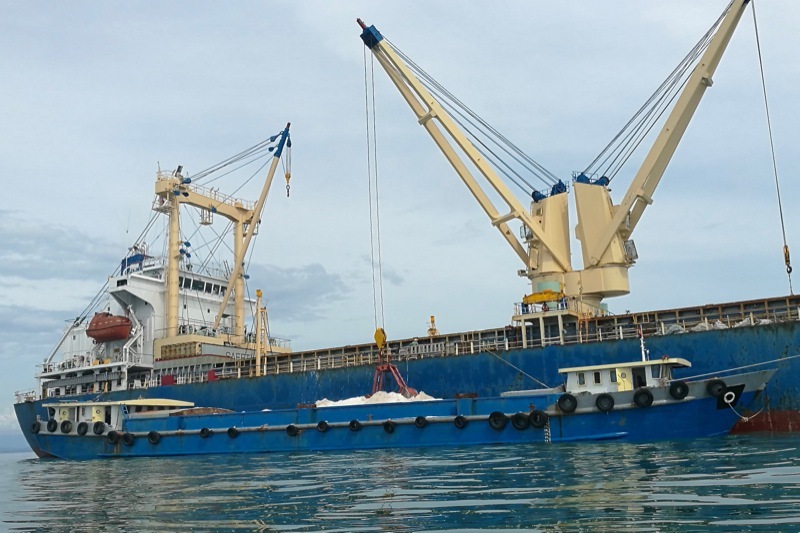 The NGO said the work violated the law as the ministry purportedly stopped issuing new dredging and exporting licenses in November amid rising pressure over sand export records showing discrepancies of tens of millions of cubic meters. After announcing on Tuesday that it would investigate, the ministry on Friday declared that it had found no wrongdoing because the type of sand being offloaded was allowed to be exported under the law. “The day that Mother Nature posted the video is the day that the ship left Cambodia. Deryoung SunFlower came to transport white sand (silica sand), a kind of sand for industrial production of mirrors, glass and bottles,” the statement said. “The suspension of sand exports abroad remains effective except silica sand as stated in a letter [from] the ministry,” it said. The ministry also claimed the sand, taken by agro-industrial conglomerate Mong Reththy Group, had been sourced from land in Preah Sihanouk province’s Stung Hav district, not an estuary. “Spokesman Meng Saktheara told local media on the 2nd of May 2017 that an investigation by several government agencies showed that no sand transporting ships had even been inside Cambodia, while they are now admitting that there was after all a ship,” he said. “Our investigation continues, and we hope to expose them further soon,” he said.